This housing for thermal camera provides the vision also in complete darkness, fog, rain, smoke or for long-range distances. The germanium window has non-scratch treated, Hard Carbon Coating (DLC) on the outside and antireflection inside; the spectral range is from 7.5μm to 14μm. The AISI 316L stainless steel construction allows the installation in environments with highly corrosive external agents, such as marine, industrial or chemical environments. 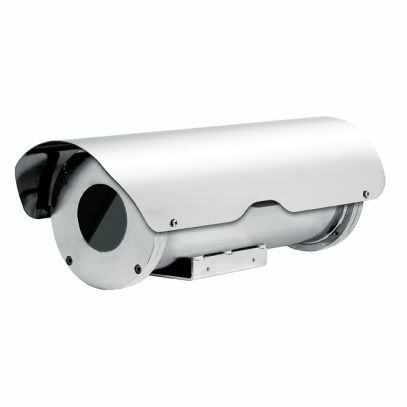 The NTM housing can be installed on NXPTH Pan & Tilt head, to obtain a complete positioning system.